When a couple is getting a divorce, it often involves extreme emotional stress, including sadness, anger, and guilt. This is magnified when there are children who are being impacted by the divorce. Florida has clear guidelines when it comes to determining child custody and support matters and will make decisions based on the best interest of the children. sharing and decision-making agreement in the form of a Parenting Plan that will govern the custody relationship. If they cannot agree, or if the court decides that the Plan submitted by the parents was not in the best interest of the child, then the judge can enter a different Parenting Plan into the divorce decree. Child support is determined in accordance with Florida statute 61.30. Under Florida law, each of the child’s parents has the obligation to support the child. By making the calculation a matter of statute with little room for deviation, Florida has eliminated most of the argument and back-and-forth that is found throughout many other parts of a Florida divorce. Florida uses the Income Shares Model to determine child support obligations when one parent has primary custody of the child, which means that the nonresidential parent has the child for less than twenty percent (20%) of the time. This determination of support looks at the resources that the child would have received if the parents had not gotten divorced. This amount of support is then apportioned to the parents. This model is comprised of guidelines that consider the combined income of the parents and the specific financial contribution of each of the parents. In addition to determining support payments, the court may order that health insurance be maintained for the children if the cost is reasonable and the children have access to the insurance. A reasonable amount is five percent (5%) or less of the gross income of the parent who is directed to provide the insurance. In order to make the calculations as clear as possible, Florida courts have created a Child Support Guidelines Worksheet, which guides the parents through the calculations. 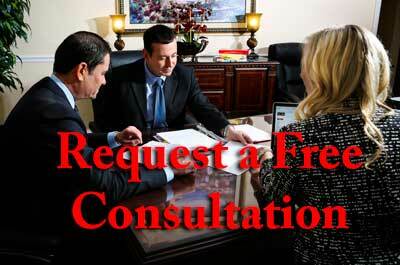 A person going through a divorce proceeding typically will fill this out with his or her attorney. The Income Shares Model takes the income of each parent, reviews the statutory guidelines for the specific income level, and determines the appropriate amount of support. This is known as the Total Minimum Child Support Award. Under certain circumstances, the court may order the spouse paying child support to purchase a life insurance policy or bond in order to be certain that future child support payments will be made. If the Parenting Plan custody arrangement includes each parent having the child more than twenty percent (20%), more of an equal time-sharing, then the court will utilize a different method of calculating support. This is referred to as the Gross-up Method. The court will follow the same procedure for determining the Total Minimum Child Support Award and then multiply that by 1.5. This is done under the theory that more money will be spent by the parents if each is maintaining a separate household for the child. The total amount is allocated based upon how much time the child spends with each parent. Under Florida law, a parent is expected to support a child through the age of eighteen (18) years, unless the child will graduate from high school before 19 years of age, in which case, the court will order support through graduation from high school. If the child has special needs, the court may order extended support. If the child dies, the support obligation ends. The support obligation generally does not survive the death anf the paying spouse. Any other modification that is necessary to achieve an equitable result. Issuing an arrest warrant and prosecuting the party for non-payment of support. Evaluating the best interest of the child involves a complex balancing of factors, including emotional, physical, and financial. It is imperative to be aware of what a court will review in order to present the most persuasive proposed living environment to gain primary custody of the children. In addition, the totality of the child and parents’ situation will be considered by the court in determining the child support award if a deviation from the guidelines is needed. Putting together a compelling case is necessary to obtain a equitable outcome for everyone, especially the child or children. If you are filing for custody or divorce in Florida or have been served with a Petition for Dissolution of Marriage and have children who will be impacted by the legal proceedings, the skilled and compassionate attorneys at Ayo and Iken PLC are ready to aggressively protect your rights and ensure that you receive everything that you and your children deserve. Zealously representing the interests of our clients and their children in Miami, Orlando, Tampa, Clearwater, Lakeland, Wesley Chapel, and New Port Richey, Florida, we are committed to obtaining a fair and just resolution of your child custody and support proceedings. We understand how difficult this situation is for you and invite you to meet with us for a free consultation, where we will learn the hardships that you face and present your legal options. To schedule an appointment, please call us at 800-469-3486.